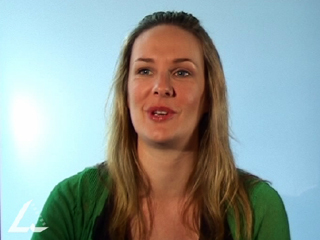 Video clip synopsis – TV soap operas have the ability to reflect Australian society and culture and connect people through the shared memory of watching a television show. Broadband MP4 tvsoaps_bb.mp4 (13.6MB), suitable for iPods and computer downloads. The interviews with Megan Spencer, Scott Goodings, Mac Gudgeon and Corinne Grant were recorded for the website From Wireless to Web, produced in 2005. The 1970s was Australia’s great decade of change – changing visions, changing values and a changing 'vibe’. The new socially progressive Labor Government under Gough Whitlam reshaped core beliefs and promoted social justice and equality for all Australians. A distinctly 'Aussie’ culture emerged in art, music, fashion and on the stage and screen. And Sydney finally opened its Opera House. When television was introduced to Australia much of the programming was imported from overseas, especially from the United States. Popular programs included quiz shows, variety shows and 'soapies’ – long-running series that typically screened on daytime television. One of the first successful locally produced television soap operas was Bellbird, which launched in 1967, produced by the ABC. The achievement of Bellbird – and indeed all Australian 'soaps’ – was nothing short of miraculous. Punishing production schedules were necessary because of the need to create product week-by-week, on minuscule budgets with limited resources. Bellbird depicted life in a small Australian country town, a fictional place that lent its name to the show’s title. Most of the series was shot at the ABC’s Melbourne studios in Elsternwick, with only limited location work in towns around Melbourne and Victoria. Bellbird screened for 15 minutes leading in to the 7 o’clock news, from Monday to Thursday. The series was a huge hit in rural and regional Australia because it dealt with the concerns of people living on the land and the dynamics of small country town life. The ABC produced 1693 episodes of Bellbird and the series ran for 10 years, until 1977. The next breakthrough Australian television series, much more modern and risqué, was the 1972 'soap’ Number 96, which set a new standard and wholly different tone for Australian TV 'soapies’. Other popular and successful local soap operas included The Box (1974), The Young Doctors (1976), The Restless Years (1977), and Prisoner (1979). Finding the balance between comedy and drama in a production is a difficult process, but often this is what screenwriters for soap operas have to do every week. In groups of two write a treatment for an episode of a soap opera. In the episode construct a narrative that contains a main plot and mini plots (or sub-plots), and try to deal with an issue and construct a humorous scene within the drama. Design the cover for a fictional magazine entitled Aussie Soaps. Using the Internet for sourcing, select current soaps that can be seen on the cover. Use the same type of sensationalism that is employed in this television genre for the style of the cover. Make it bold, glossy and over the top. Corinne Grant suggests that the soapie is a collective experience that builds a community. Discuss how you talk about television programs to your friends. Outline what you talk about and why it is a popular topic to discuss. Why does Megan Spencer think that Neighbours is a most effective soap? What are the key elements you can identify as contributing to the making of a good soap opera? Try to account for key elements in the practice of this genre. Look at a scene in a soap opera on television now and break it up in terms of camera shots and angles. Draw up a storyboard of the scene and provide an account for the specific usage of shots and angles. Critically analyse a soap opera in terms of the shots used to create a dramatic event. How realistic is the soap opera’s world to real life? Does the soap opera contain a personal message or moral story? Is the soap opera aimed at a targeted audience? Does the soap opera employ the convention of the ‘cliff-hanger’?